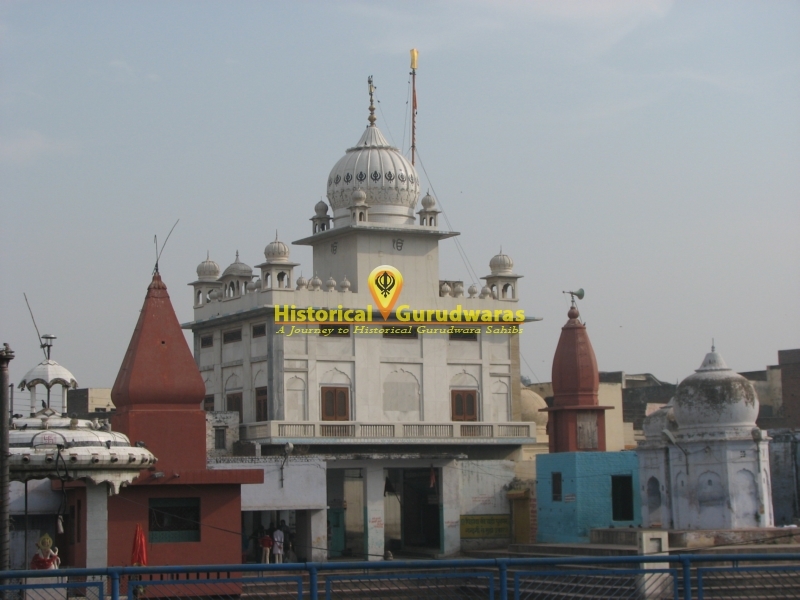 GURUDWARA SHRI SHEESH MAHAL SAHIB is situated in the middle of Pehowa Town in Kurukshetra Distt. 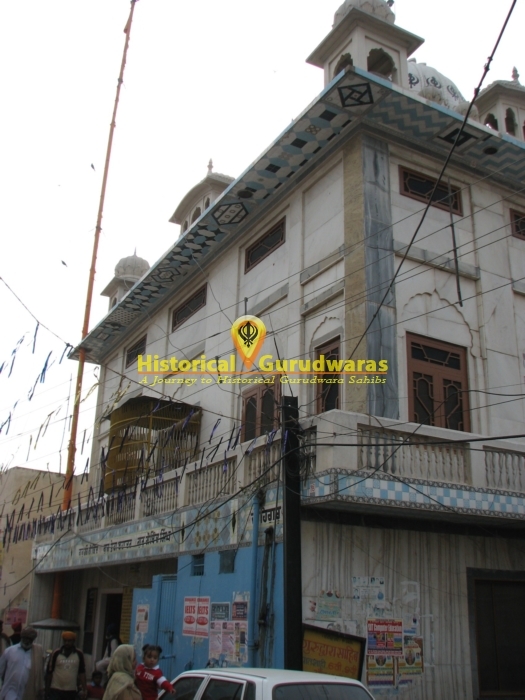 SHRI GURU NANAK DEV JI: In 1507, SHRI GURU NANAK DEV JI reached at this place on return journey during his first Udasi and stoped people from ancestor worshiping and preached that after death, the offerings does not reach to the person, their deeds go with them. 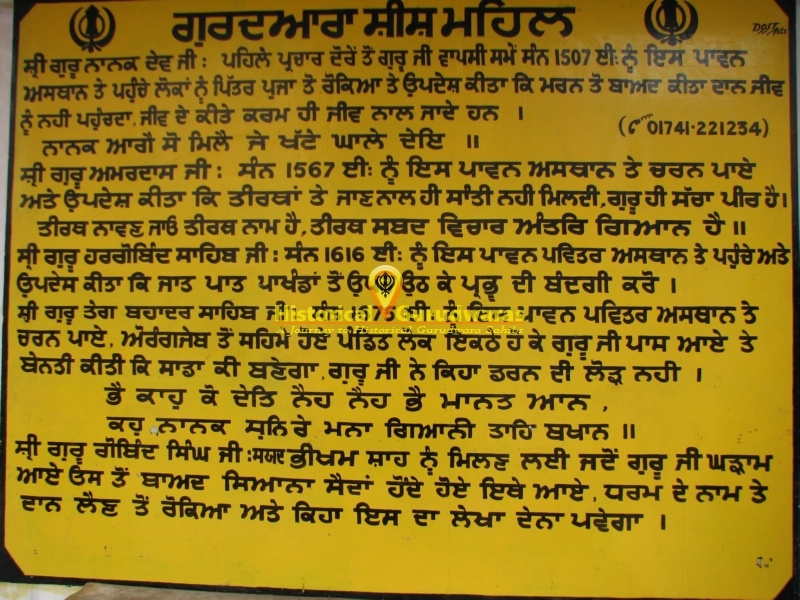 "Nanak Agey So Milae, je khate ghale dei"SHRI GURU AMARDAS JI: In 1567, SHRI GURU AMARDAS JI reached this place and guided the people that by visiting pilgrimages they cannot get the internal relief. The Guru is the true peer. "Tirath nahavan jao tirath naam hai, tirath shabad vichar antar gyan hai"SHRI GURU HARGOBIND SAHIB JI: In 1616, SHRI GURU HARGOBIND SAHIB JI reached this pious place and preached to abolish the caste system and pray for god. 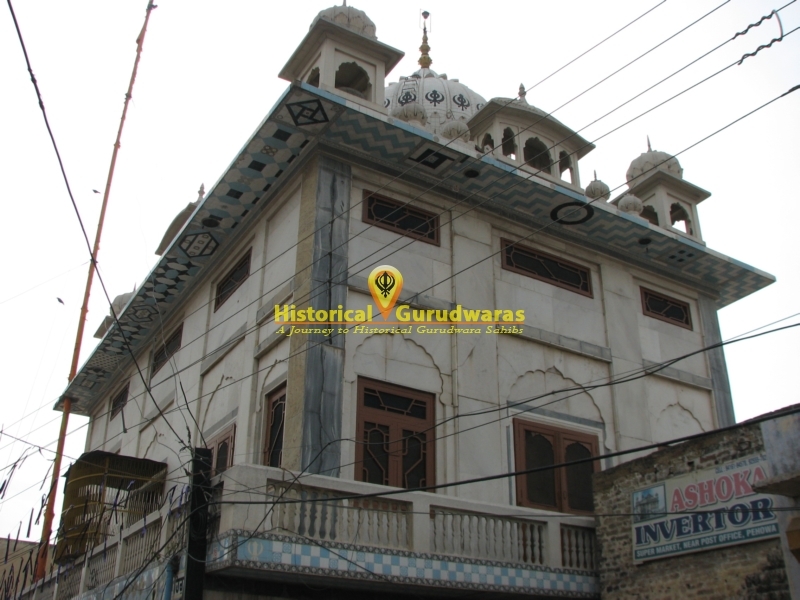 "bhai kaahu ko det neh neh bhai manat aan kaho nanak sun re mana giani tahi bakhan"
SHRI GURU GOBIND SINGH JI: After meeting Sayyed Bhikan Shah at Gharham and while going to siana saidan GURU SAHIB stopped here. He preached the congregation not to take donation(offerings gifts) in the name of religion.